The mosque in Dooradoyle, the site of former synagogues on Wolfe Tone Street, and the old Jewish cemetery in Castletroy were all visiting points during an Interfaith Walking Tour in Limerick organised as part of the diocesan Ministry Training and Education programme on 12th February. 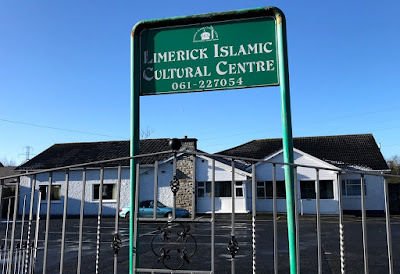 The group of clergy and readers met at the Limerick Islamic Cultural Centre and Mosque at Old Dooradoyle Road, established by local Muslims in Limerick. The centre is a converted detached, single-storey bungalow on the Dooradoyle Road, across from the Crescent College Comprehensive. Jumu’ah (congregational) prayers are performed at this mosque each Friday and members also receive Quran lessons. Jews began to settle in Limerick in about 1881, and for a period in the 1890s there were two congregations at Nos. 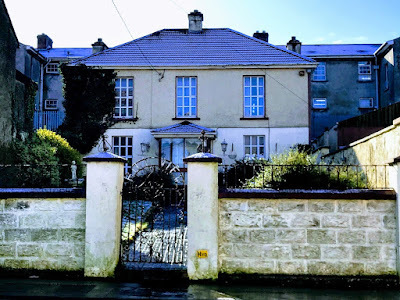 63 and 72 Wolfe Tone Street, then known as Collooney Street. 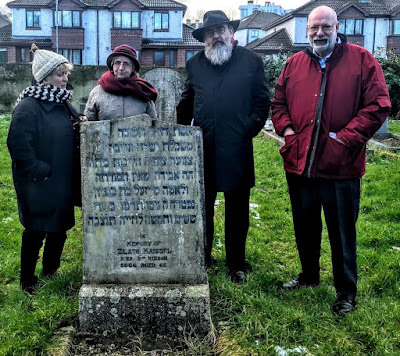 The sites visited included No 18 Wolfe Tone Street, where Limerick’s rabbi lived from 1889, and the former Model School where the Jaffe and Stein families were beaten up in 1892, the former synagogue at Hillview on Wolfe Tone Street, and the site of the former Ashkenazi Orthodox synagogue at 63 Wolfe Tone Street. In my meditations and reflections in Lent this year, I am being guided by the Stations of the Cross from three locations. The idea for this series of morning Lenten meditations came from reading about Peter Walker’s new exhibition, ‘Imagining the Crucifixion,’ inspired by the Stations of the Cross, which opened in Lichfield Cathedral last month and continues throughout Lent. In the eleventh station by Liam Cosgrave in Millstreet, one man alone nails Christ to the Cross. There is one last hand to nail to the arm of the cross. They are alone on the top of the hill, outside the city. Two trees on the hill are a hint that soon two thieves will also be nailed to two crosses on the hilltop. One will ask for mercy and forgiveness and he will receive the promise he seeks from Christ. Below, there is a cluster of trees. Is this the Garden of Gethsemane? Is this the vineyard that inspired the image of the True Vine? Above, there are clouds of doom as darkness prepares to descend. Or do I see a dove of peace, the Holy Spirit?